Lavanila Healthy Sunscreen SPF 40 for Face ($28) – A highly nourishing and safe alternative to chemical-laden formulas, the Healthy Sunscreen is developed with a new generation of natural mineral sunscreens that offer superior protection, youth-promoting antioxidants and immune supporting botanicals. Perfect for sensitive skin, the fragrance-free, ultra-sheer formula glides on smoothly with no white residue. 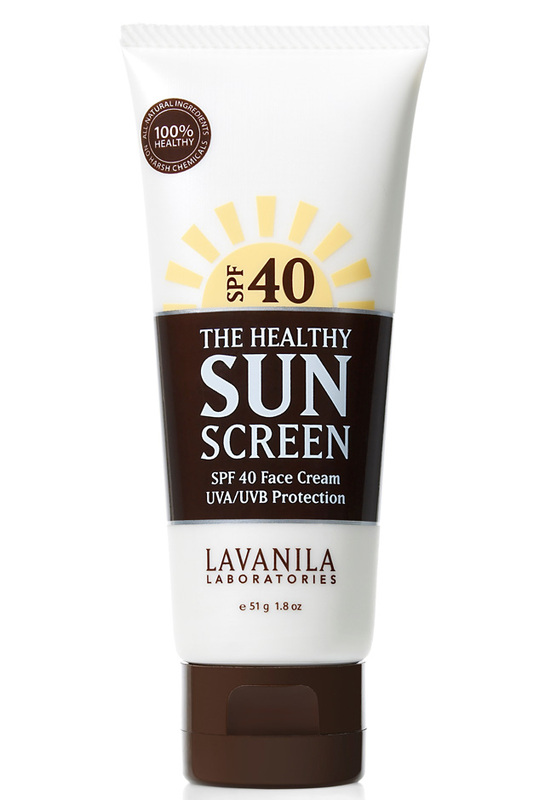 Lavanila products can be purchased at Sephora/Sephora.com.